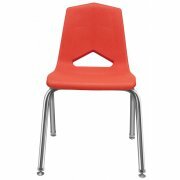 Having trouble choosing school chairs? 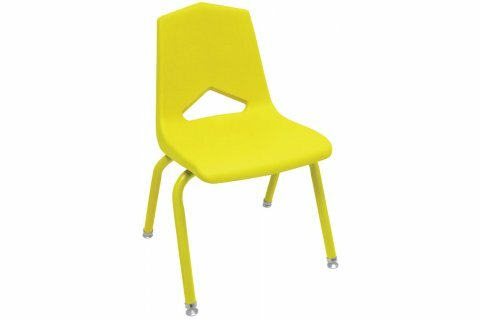 With a sturdy build and bright colors, it's no wonder that Poly Stacking Classroom Chairs are a staple of the modern school. Their one-piece polypropylene shells have a V-back for healthy airflow and enhanced comfort. 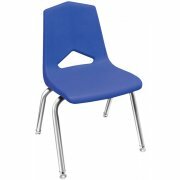 A waterfall seat edge reduces pressure at the back of the knee and maintains a healthy blood flow. 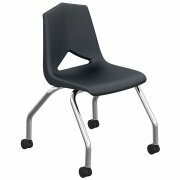 This supportive design is ideal for students who need to concentrate in class. 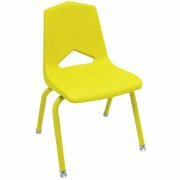 These school chairs offer a seamless synthesis of style and durability. 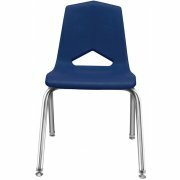 Their attractive classroom chair seats are supported by tough chrome-plated tubular-steel frames. Concealed rivets and steel brackets maintain a lasting connection between seats and frames. 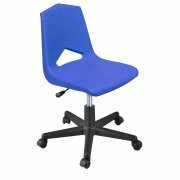 If you are looking for a student chair that is appropriate for a variety of ages, sizes and subjects, Poly Stacking Classroom Chairs are an excellent option.